The September Fair will be in Thame between Thursday 20 and Saturday 22 September 2018. 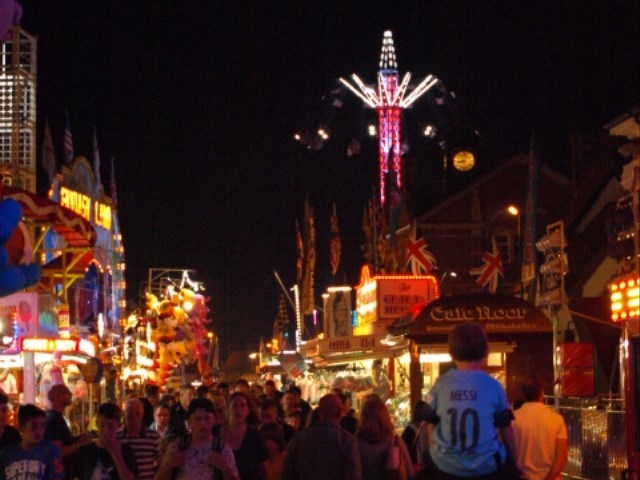 The Fair will be open from 4pm to 11pm on Thursday and noon to 11pm on Friday and Saturday. The President of the Showmen’s Guild and the Mayor of Thame will be ringing the bell to officially open the Fair on Thursday at 4pm at the Dodgems. During the Fair, a Temporary Road Closure and Traffic Regulation Order will be in force, which will restrict the entry of vehicles to the centre of Thame from 4.00pm on Wednesday 19 September until 12 noon on Sunday 23 September 2018. Vehicles will not be allowed to park in the road or on the pavements of these affected roads. Anyone parking will run the risk of causing an offence by obstruction and cars will be removed. Both the High Street and Upper High Street car parks will be closed. During the road closure, town centre bus stops will relocate to: The Thatch (buses to Oxford), Thame Museum (buses to Aylesbury) and Old Police Station (buses to High Wycombe). The 280/X8 bus will not serve any of the stops on the Business Park loop during the road closure. The taxi rank will move to North Street. Parking regulations on Wellington Street, North Street and Southern Road will commence at 7am on Wednesday 19 September to assist with traffic flow ahead of the town centre road closure. Access permits are available for residents whose property is located within the road closure and have off-street parking. To apply for a permit, please contact Thame Town Council on 01844 212833.